I have been a fan of the "Classic Modules Today" group for a bit now. The premise is to use the leeway of the DMSGuild to produce 5e conversions of classic TSR modules. Well you know I am all about that! So I have been buying as many as I can for the various campaigns I have been running. They are great. All the basic information I need in one place. Could I have done these on my own? Sure. But for the price of my triple grande latte, I can grab 2-3 of these pdfs and be good to go. Since I also believe in giving back I made my own for an adventure I have coming up. Here is the Classic Modules today conversion of one of my favorites, CM2 Death's Ride. You can get the conversion here on the DMSGuild and the original module too. You will need the original, these are conversion notes, not the full product. 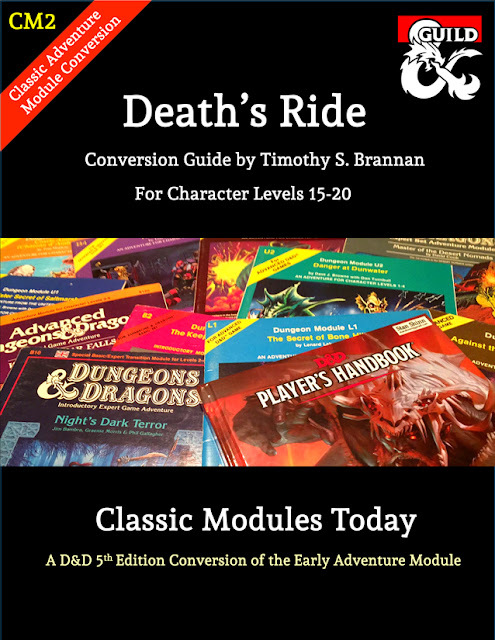 You can find these and all the Classic Modules Today conversions (and the original adventures) at the DMSguild. Love that cover; "Death's Ride." Fantastic stuff. You know what's funny? 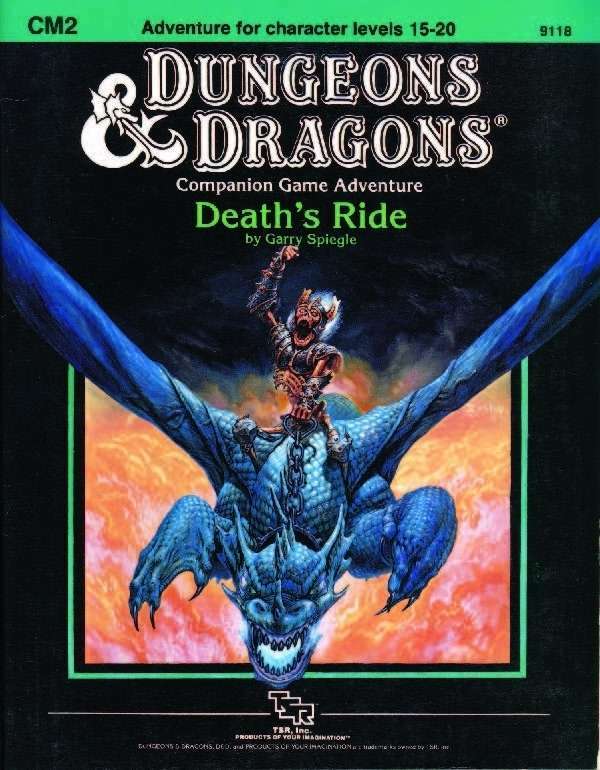 The review for CM2 on DriveThruRPG references a statement by "JB of BX Blackrazor" about how no one actually rides a dragon (as on the cover)...this based on a less-than-complimentary blog post from 11/2009. Well, *I* think it's funny. I should have dug that up and put your quote in the conversion guide!